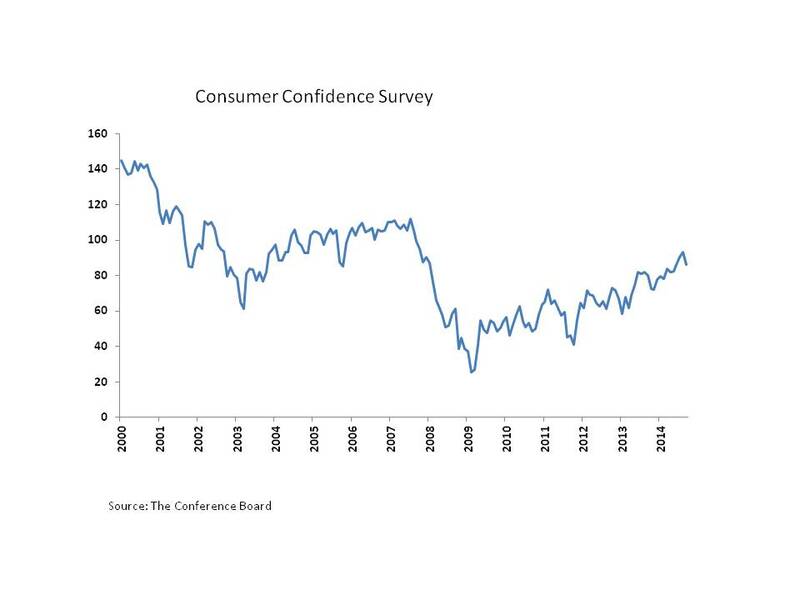 The Conference Board reported that the Consumer Confidence Index, which had increased the previous four months, declined in September, primarily because consumers judged current and future employment conditions less favorably. The Consumer Confidence Index declined to 86.0 in September from 93.4 in August. The share of consumers describing the current job climate as “plentiful” decreased to 15.1% in September from 17.6% in August. Looking out six months, the share of consumers who expect an increase in jobs fell to 15.2% in September from 17.8% in August. Last month, despite an increase in the Consumer Confidence Index, the Conference Board reported that the share of consumers expecting an increase in jobs and personal income in the short-term also decreased. Last week, Thomson Reuters/University of Michigan reported that the September Consumer Sentiment reached a 14-month high, primarily because of positive expectations for the economy and personal income. The consumer continues to experience the recovery with cautious optimism, a trend that has also defined the housing recovery.